Is there anything more comforting than the smell of bacon cooking on a weekend morning? The tea is brewing, the bread is buttered and the ongoing argument of which sauce to have – red or brown? Or neither?! – is only just heard over the sizzling rashers almost reaching the perfect place between chewy and crisp. Imagine those bacon sandwiches that you’re used to…only better! With our knowledge of bacon, and passion for doing the right thing in the right way it was only a matter of time before we started to produce our own bacon. Want to know why Aubrey’s home cured bacon is so good? So next time you’re in have a try of our delicious home-cured bacon and let us know what you think! 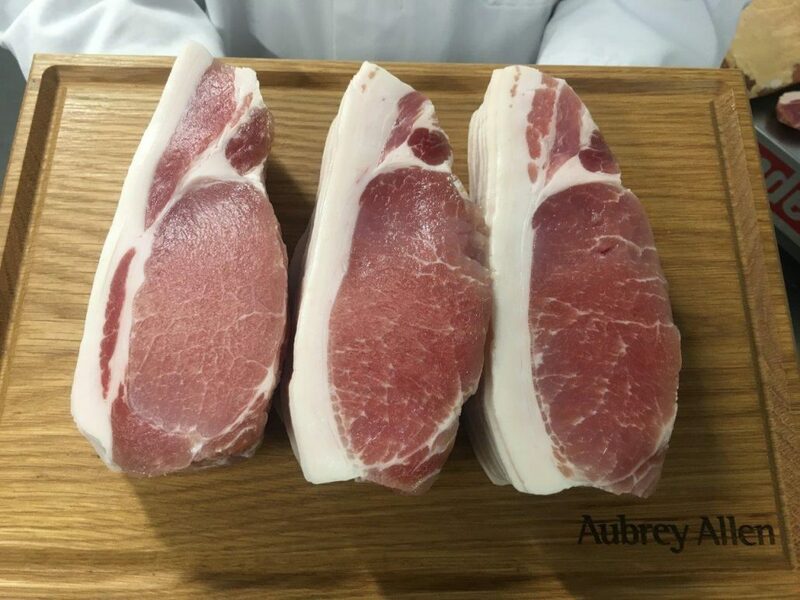 https://www.aubreyallenleamington.co.uk/wp-content/uploads/2018/10/Aubreys-bacon-three-small.jpg 960 1280 aubreydeli https://www.aubreyallenleamington.co.uk/wp-content/uploads/2017/11/AA-Header-Logo-INV.png aubreydeli2018-10-16 14:02:002018-10-16 14:02:00Aubrey brings home the bacon!